Our therapists at A Safe Place To Heal of McKinney TX offer Guilt & Shame Counseling and Therapy to help you recover from traumatic events that cause this sometime over-whelming feeling. 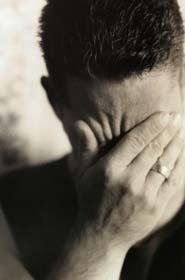 Guilt & Shame are deep, debilitating emotions, with complex roots. Its cousins are humiliation, demoralization, degradation and remorse. After experiencing a traumatic event, whether recent or in the distant past, shame can haunt victims in a powerful and often unrecognized manner. Shame impairs the healing and recovery process causing victims of trauma to stay frozen, unable to forgive themselves for being in the wrong place at the wrong time. Shame leaves victims with feelings of sadness and pain at the core of their being. They are unable to feel the fullness of joy in their lives. How Does Trauma Influence Shame? Shame can dissolve positive self-esteem and leave victims of trauma feeling different and less worthy and in some cases even bad or evil themselves. The trauma and the resulting shame fuel each other, causing greater intensity in the psychological wounds. The end result is that a traumatized person no longer feels worthy of being loved, accepted, and having good things happen to them in their life. What Purpose Does Shame Serve? Next, decide to experiment on forgiving yourself and letting go of the shame. How long can you go without reminding yourself about the shameful thoughts and feelings? How would life be different or better if you were able to forgive yourself? Ponder these questions, and take a few notes on what you find out. Share the results of your experiment with your therapist or trusted friend. Finally, have hope, no matter how excessive your guilt & shame is or has been; it is possible to heal. Remember that you can release the guilt & shame, freeing yourself to heal and recover from traumatic events.